I made Valentine's Day crackers last year, and my kids love them. I thought that I would share them again this year, since were such a quick and easy treat. The cracker dough is refrigerator pie crust. Allow it to sit at room temperature for about 30 minutes for easier unrolling. 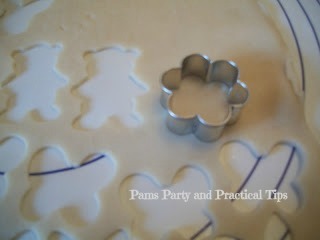 To make the cute shapes, all you need is a mini cookie cutter. Last year I made bears, butterflies bunnies and flowers since I did not have a mini heart cutter. I think have one now, so we will have heart shaped crackers this year. I laid out the cracker shapes on a cookie sheet that was covered with parchment paper. I made two types of crackers, sweet and savory. 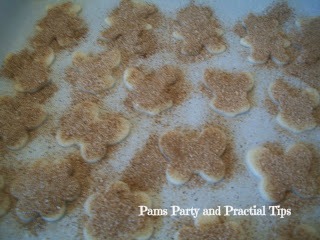 To make the sweet crackers, I first lightly sprayed them with butter cooking spray, and then sprinkled on a mixture of cinnamon and sugar. I also sprayed the savory crackers. 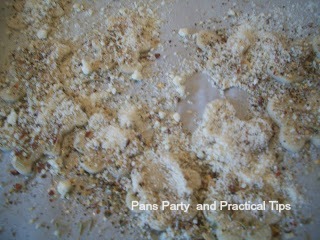 I then sprinkled on a mixture of Parmesan cheese, garlic salt and Italian seasoning. That amount you use of each ingredient is a matter of individual taste. I placed the crackers in some red take out boxes that I found on clearance. I found the bear shape was perfect to come up with cute Valentine sayings.. 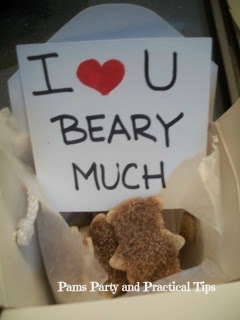 I made one that said, Valentine's Day would be "unbearable" without you. My own personal favorite has to be the I LOVE U Beary Much. I also came up with sayings for the other shapes. such as "will be you be my hunny bunny", and "you make me flutter like a butterfly.'" You could probably use any shape of cookie cutter and turn it into a fun saying. 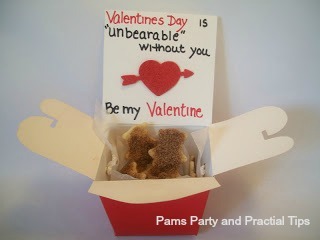 Valentine crackers would be a great alternative to hand out at your class party instead of more candy.